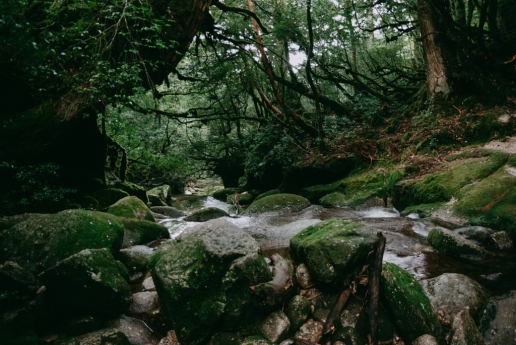 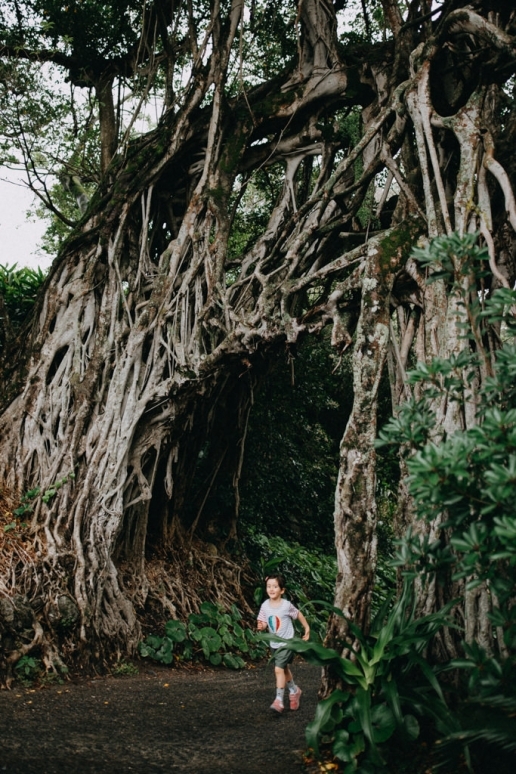 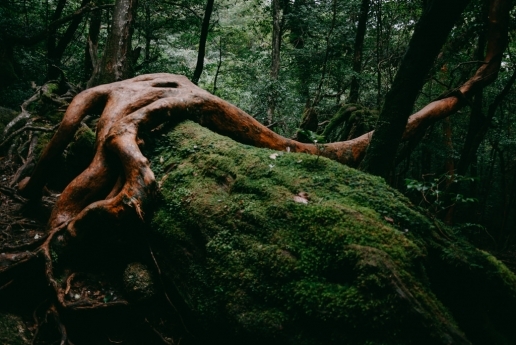 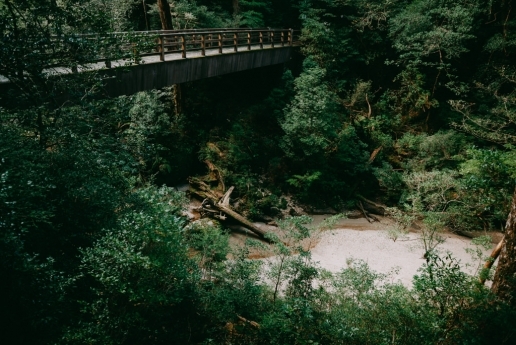 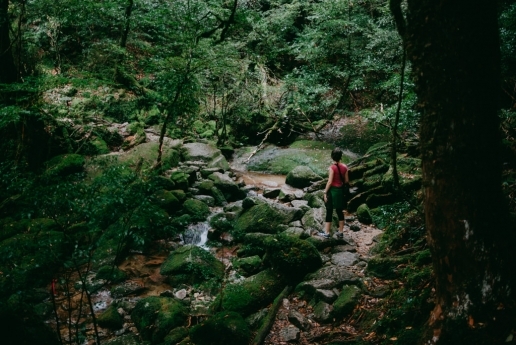 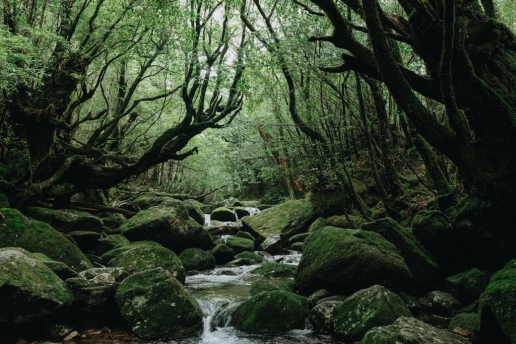 Yakushima Island is listed as a UNESCO World Natural Heritage site and it is for true nature explorers. 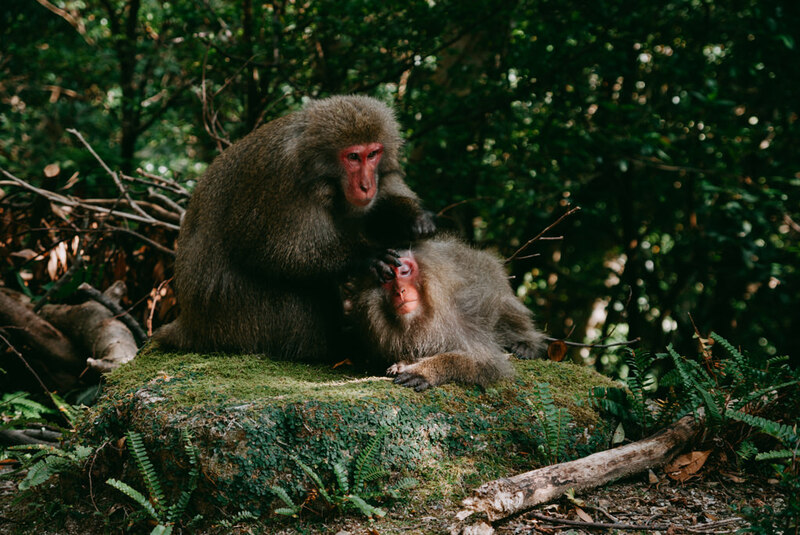 Yakushima is mostly famous for hiking through pristine mossy rainforests, however it also boasts beautiful beaches (and has one of the world’s most important nesting grounds for the endangered loggerhead turtle), great seafood, and is easily accessible from Kagoshima. 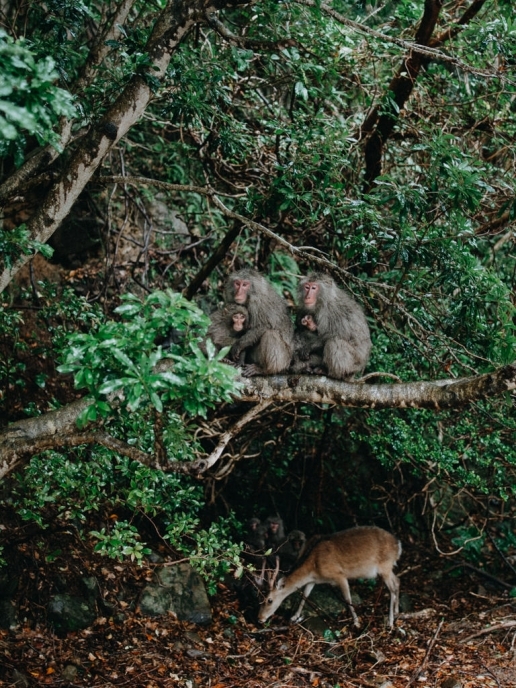 As Yakushima is one giant granite monolith with the highest point being almost 2000 meters, it is very interesting to explore the different elevations, each with its own climate, unique vegetation and wildlife (there is a high chance of encountering indigenous red-bottom monkeys, “Yakushima Macaque” and indigenous deer, “Yaku-shika”). 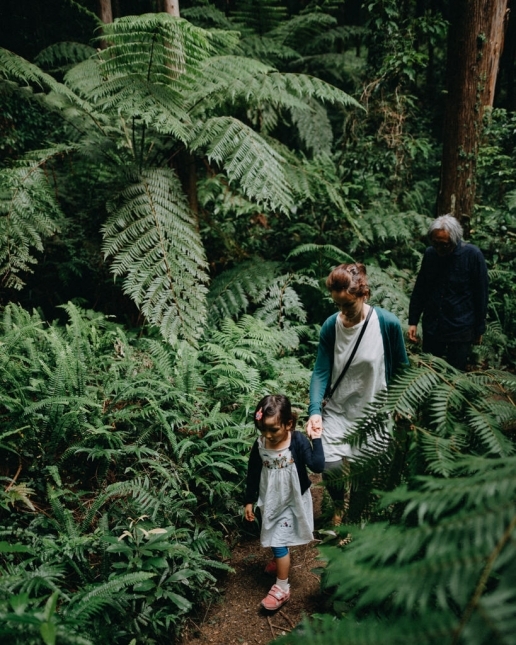 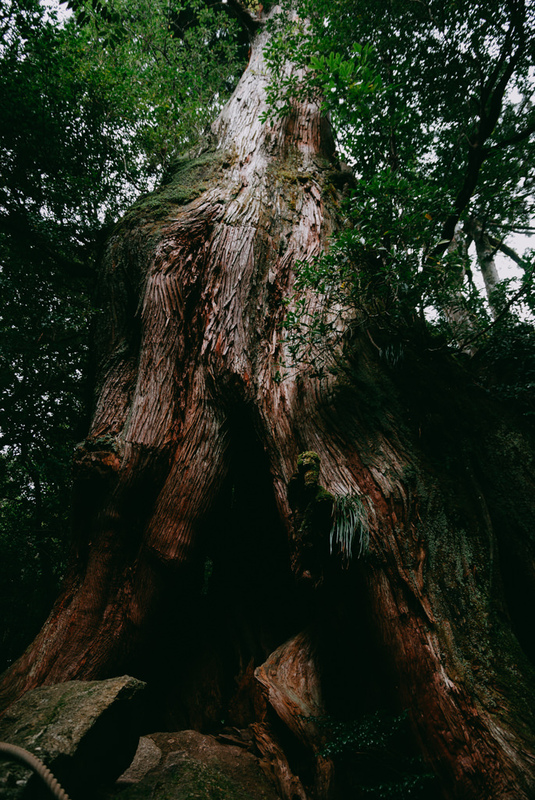 For hiking, depending on the trail, you can experience completely untouched virgin forest, ancient plantation forest (where you can see the traces of man, with cedar trees growing over stumps of forested cedar trees), over 3000 year old Japanese cedar trees and other unique flora and fauna. 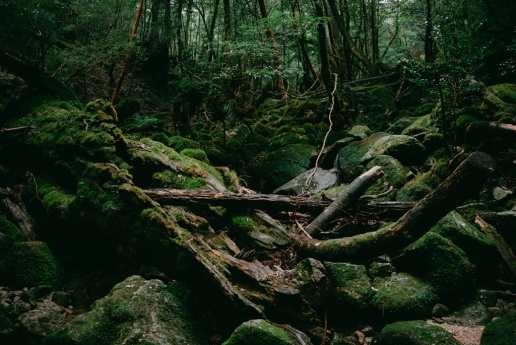 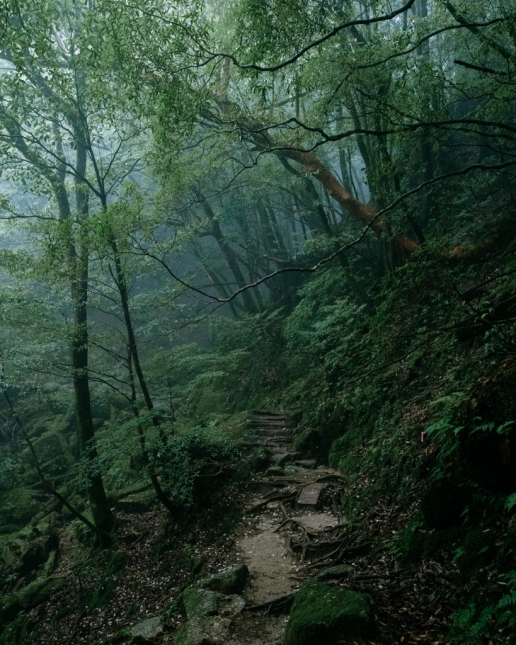 The Yakushima forest inspired the forest setting in Miyasaki’s 1997 animation, “Princess Mononoke”. 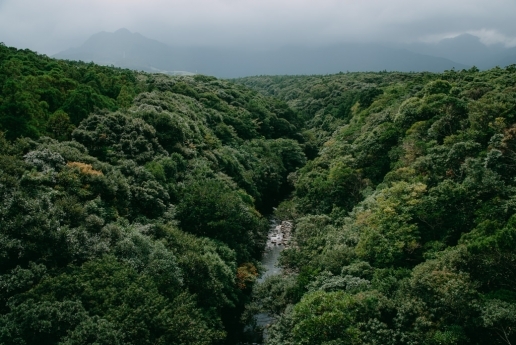 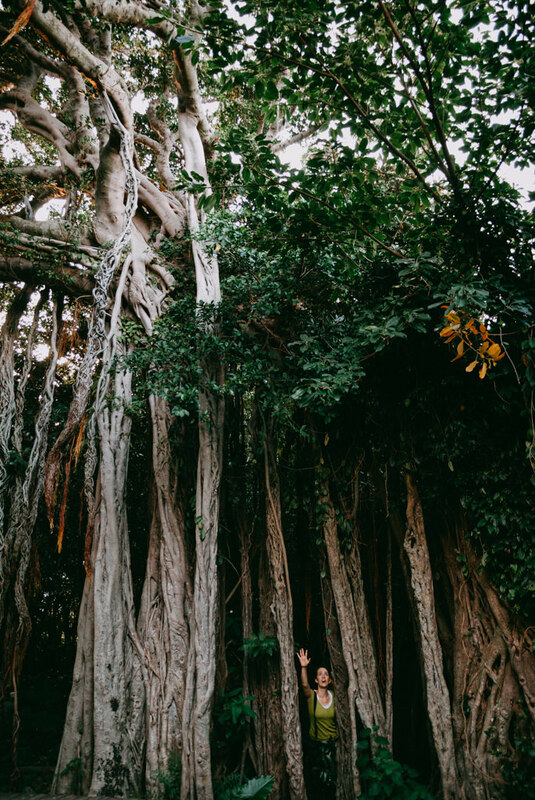 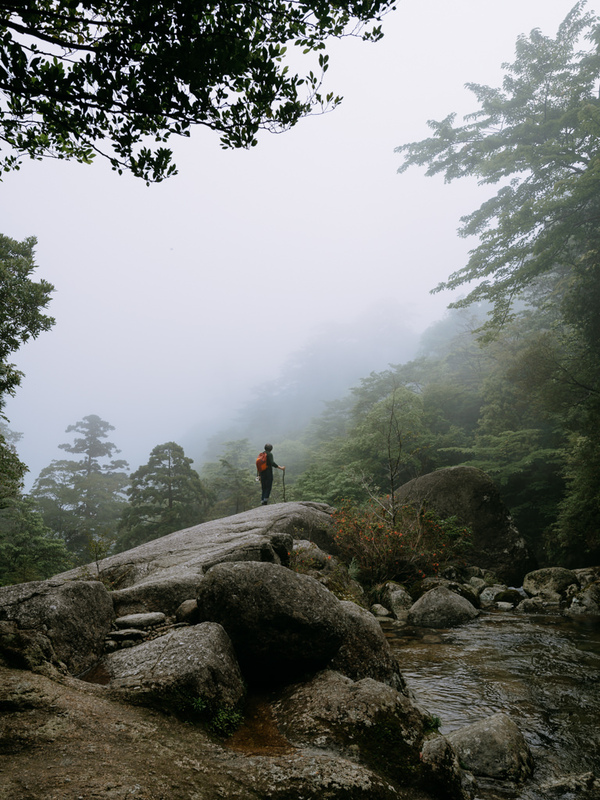 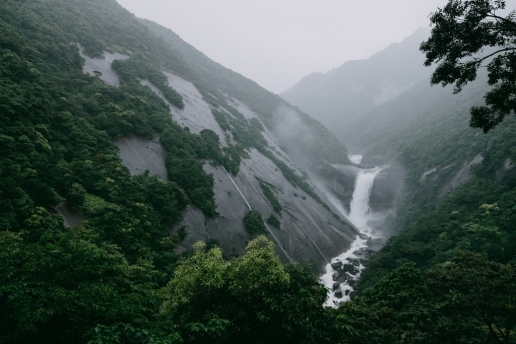 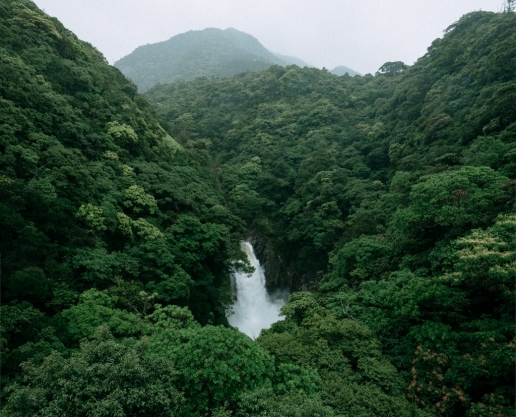 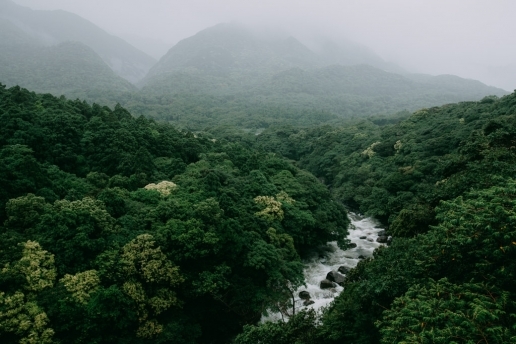 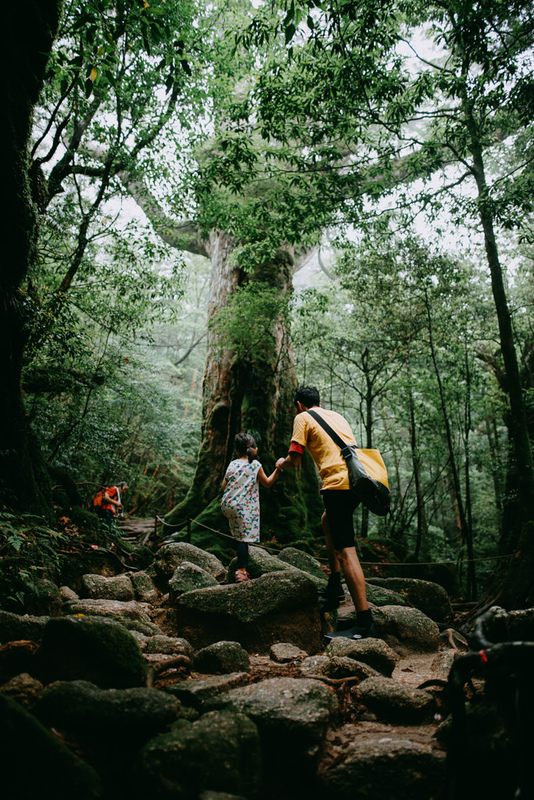 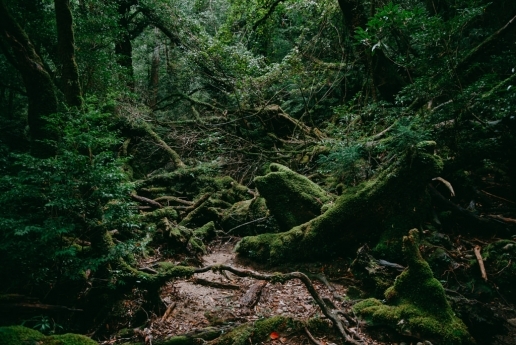 You can’t have all the beautiful lush forest without rain – Yakushima is one of the world’s wettest places, with the average rainfall reaching up to 10,000mm per year. 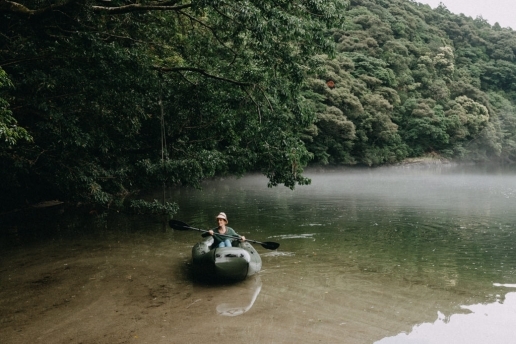 Pack your rain coat! 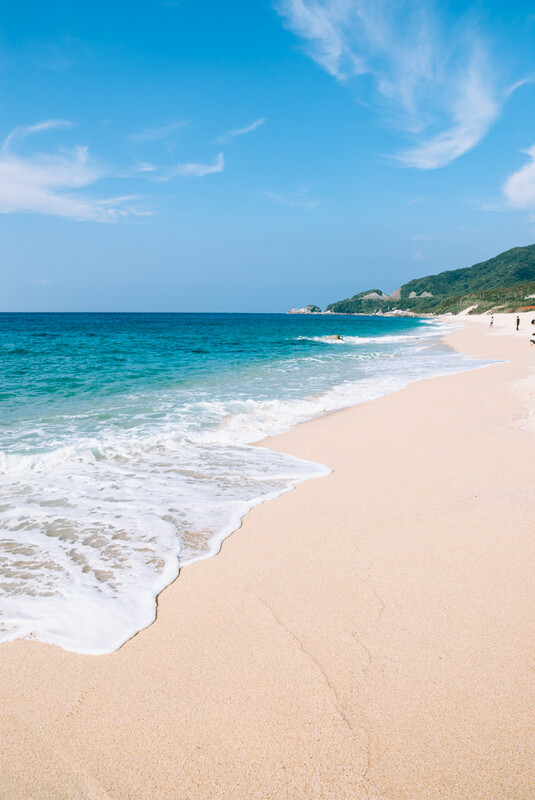 For gelato in unique island flavors, we enjoyed Sora umi. 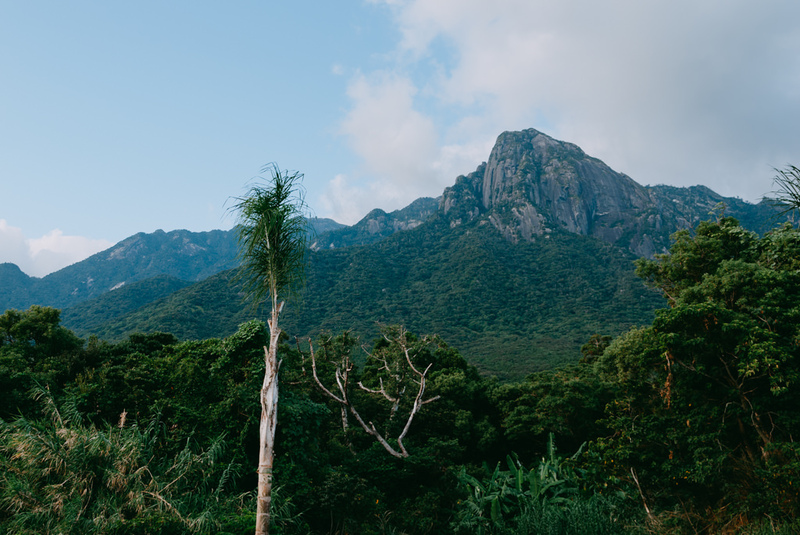 For high quality espresso-based coffee, we just loved Issou Coffee (limited hours, but well worth stopping by if driving past!). 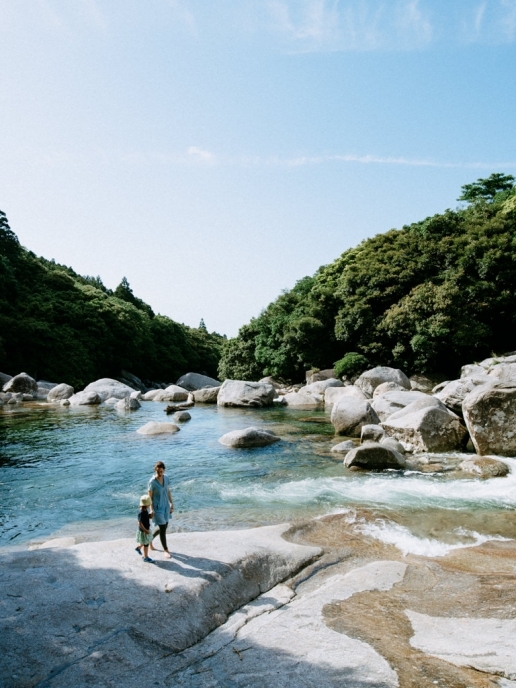 For izakaya and local food, we enjoyed eating at Jiijiya.